The beta exams to become a Microsoft Certified Azure Administrator are already online. 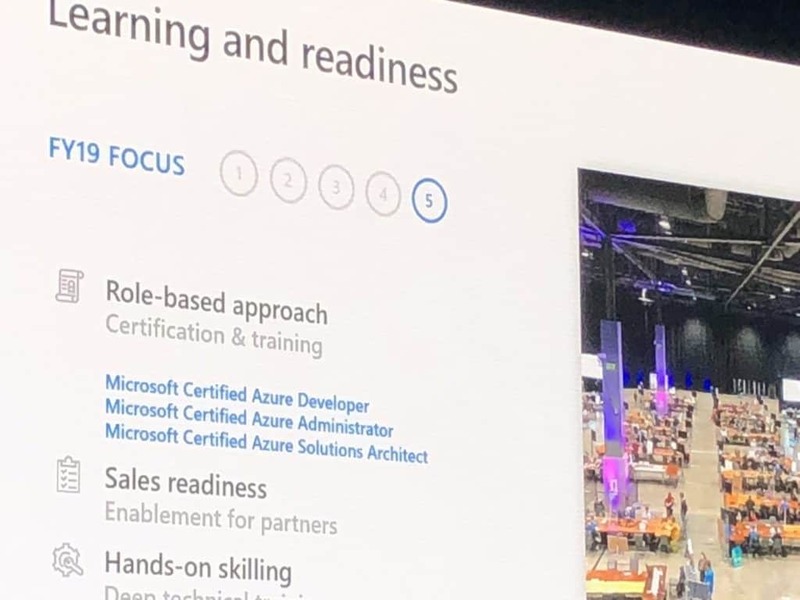 You will have to options depending if you already have Exam 70-533 Implementing Microsoft Azure Infrastructure Solutions or not. Remember they are all beta right now, and you will need to wait a couple of months to get the exam results. I just took the exam AZ-102 to transition from Exam 70-533 Implementing Microsoft Azure Infrastructure Solutions to the new Microsoft Certified Azure Administrator. I recommend that you go through the preparation guides for the exam an verify your skills for the thing you don’t have daily experience with. Especially with some pretty new services and features. I think the new exams questions are pretty close and important to the daily tasks of an Azure Administrator and should reflect the skills. If you want to take the beta exam, you should register fast. Microsoft announced that they only will take a couple of beta exams and then close it until the public exam is available. You can also find some discount codes on the Microsoft Learning Blog, which will give you up to 80% of discount for the 3 new beta exams. I hope this gives you a quick overview and directs you to the right sites. If you also want to know a little bit more about it, I also recommend that you read the Build Azure blog. There is still a 25% code that works though.